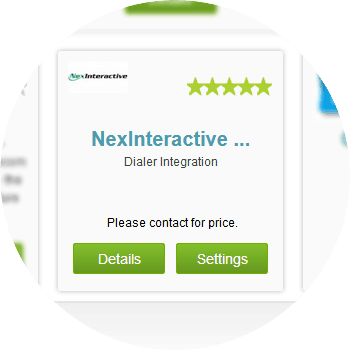 NexInteractive is a predictive dialer solution that works almost like an Artificial Intelligence. It dials from a list of phone numbers and quickly transfers any connected call to a live agent, bypassing unavailable phone lines and voicemails. 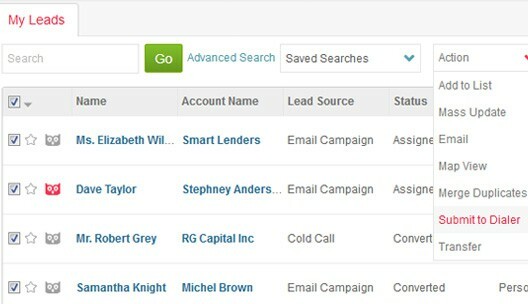 By integrating NexInteractive with ConvergeHub, when a contact calls, the predictive dialer checks their number against the CRM data and if there is a match, immediately shows all of the client’s details on screen: call disposition, previous conversations with disposition, lead status, etc. The same happens when an inbound call is connected to a live agent or when there’s a transfer based on agent skill or personal voicemail. Any changes made to the record, notes added and conversation recordings will be added to the system instantaneously. 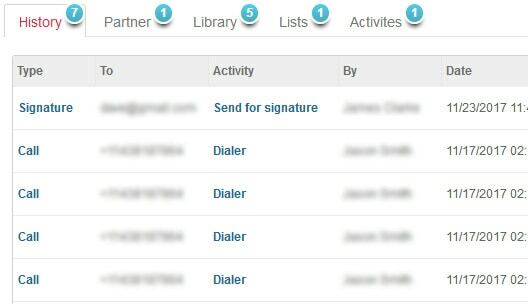 The predictive dialer automatically populates the call from the shared ConvergeHub CRM lead list. The dialer dials the call in a sequence and provides the agent option to update the lead details, lead status, add notes, call disposition, and more others. The NexInteractive integration provides detail list of calls made by an agent with the call recording (optional) and call disposition. There is also an option of finding an in-depth analysis of the calls made by the agent over a time-frame. 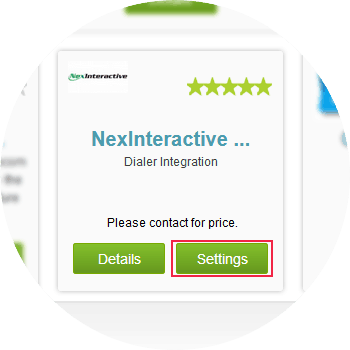 For seamless integration with NexInteractive click on the Settings button, this will open up a pop-up. If you have a pop-up blocker in your web browser, then allow the pop-ups from ConvergeHub. Provide all the necessary information (such as API Endpoint, Tenant ID, Username, and Password) and then click on the ‘Save’ button to preserve the settings. 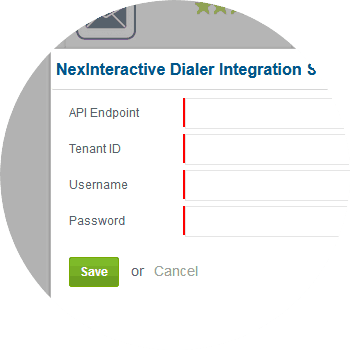 Once the integration is completed, you can send the lead list to the NexInteractive predictive dialer.